Alaska hosts a diversity of cultures. Long before Russian explorers plied the coasts in the 1700s, the forebears of the Alaska Natives had established themselves as distinct societies. The term ‘Alaska Natives’ encompasses the Yupik, Inupiat, Aleut, Athabaskan, Tlingit, Haida and Tsimshian peoples. Together, they constitute just over 15 percent of the state’s population… They speak twenty different languages. Fifty-six per cent of the Alaska Natives are concentrated in non-urban areas, including more than 200 small villages with populations smaller than 2,500. However, the state’s most populous city, Anchorage is home to more than 14,000 Native people. Alaska Natives can be found in a variety of occupations and ways of life, from subsistence hunting and fishing to state and corporate office. When Vitus Bering and Alexii Chirikov and their crews landed on the Alaskan coast in 1741, they opened the way for more than a century of Russian fur trade. Russia extended its empire to Alaska as part of the sweep across Siberia. Whereas peasants were brought to till the soil and colonize Siberia, in addition to hunters and trappers of fur-bearing mammals such as sable, farming made little headway in Alaska. Russian presence, had varying impacts on Alaska Natives, ranging from the virtual enslavement of the Aleuts to little or no interest in the more remote groups of Athabaskans and Inupiat. Given the mistreatment of Aleuts and other coastal societies, it seems incongruous that Russians accepted Creoles, or people of combined Native and Russian heritage, as Russian subjects and devoted considerable energy to teaching and preserving the Aleut language.Perhaps an explanation lies in the inclusive form of colonialism the Russians practiced, whereby local leaders willing to cooperate were co-opted and their followers integrated into Russian society. First, the dependent or settled tribes were considered Russian subjects, and these probably included the Aleuts, Koniag, Kenaitze and Chugach. Second, the not wholly dependent tribes lived within the reach of Russian settlement, but did not enjoy the duties or privileges of Russian settlement. The second category most likely referred to the Tlingit, who resisted the Russians. Third, the independent tribes (further north and inland, such as the Athabaskans and Inupiat) had little interaction with the Russians. The Russian classification system became an important source of knowledge for the United States when the latter purchased Alaska from Russia in 1867. It is hardly surprising that neither Russia nor the United States consulted the societies living in Alaska before making this transaction. To this day, some Alaska Natives refer to 1867 as the year that ‘the occupation rights’ to Alaska were transferred; Russia never had legitimate possession of Alaska, so how could Russia sell something it did not own? (3) the uncivilized tribes who would be ‘subject to such laws and regulations as the United States may, from time to time, adopt in regard to aboriginal tribes of that country. But these categories did not translate directly into US law. Prior to 1924, Native Americans could become citizens of the United States only on the condition that they applied for an allotment of land and gave up their tribal ways. Were the children of Russian fathers and Alaska Native mothers US citizens or members of ‘uncivilized’ tribes? Were Alaska Native societies ‘tribes’ under federal law? Immediately after the 1867 Treaty of Cession, the United States occupied Alaska militarily, using both the army and the navy. 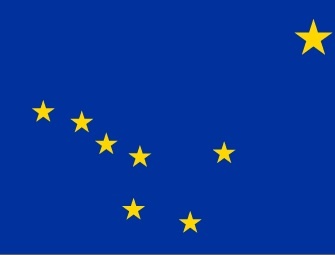 The 1884 Organic Act ended military rule in Alaska and made Alaska a customs district governed by several federal officials. The Second Organic Act of 1912 made Alaska into a territory of the United States and provided for a legislature. With regard to Native rights, US rule consisted of a mixture of neglect, assimilation and segregation. Schools were segregated. Policy concerning Alaska Natives’ rights to land and water was marked by neglect and, whenever a conflict arose between Native and non-Native, a confusion of two approaches: assimilation and aboriginal rights of possession. During and after the Second World War, Alaska experienced a construction boom, and the territory’s population nearly doubled, mostly as the result of in-migration. Alaska Natives constituted 45 per cent of the territory’s population in 1940; Increased population meant higher demands on resources. More importantly, however, the strategic importance of Alaska in the Cold War and the newly achieved statehood made both the state and federal governments powerful contenders for Alaska’s land and water. Increased competition for Native land and water not only sparked local resistance but helped to mobilize the Alaska Natives on a regional basis. In 1966, these regional Native associations met and formed a statewide organization which would become known as the Alaska Federation of Natives. The Alaska Native Claims Settlement Act (ANCSA) of 1971, created twelve regional for-profit corporations that would have title to the surface area and subsurface minerals of land selected for development across the state up to a total of 18 million hectares (44 million acres) statewide. Villages in each region could also create their own corporations, and the village corporations would retain surface title to local lands as part of the settlement. Monetary compensation for lands given up by the Natives would total $962.5 million, about half from funds supplied by Congress and half from mineral revenues collected on state and federal lands. On the surface, the ANCSA seemed like a generous settlement, one that embraced the need to modernize economically yet empowered the Natives to do so themselves and on their own terms. As time went on, however, it became clear that the settlement was not at all ‘a settlement’ but rather left several questions unresolved. The United States holds reservation lands in trust for the tribes, while the tribes exercise their rights of self-government on the lands. Second, as part of the settlement act, Congress encouraged Alaska Native villages to form municipal, or city, governments. These municipalities would be instruments of the State of Alaska and would therefore lack the capacity to form a government-to-government relationship to the United States. Third, the ANCSA shielded undeveloped Native lands from taxation for twenty years. According to federal Indian law, Indian Country is not subject to taxation. Therefore, Congress could not have considered Native corporation lands to be Indian Country. Currently six Alaska Native communities are applying for federal funds to operate their own schools. These would be tribal schools, separate from the state education system, governed and operated by the tribes themselves.74 Under current federal law, tribes can control their own schools.75 The major obstacle is the reluctance of the State of Alaska to transfer existing school facilities, since the state opposes tribal sovereignty in Alaska. Federal recognition of tribes in Alaska may force the state to abandon its opposition, however; in that case, tribally operated schools may become more common throughout the state. From the beginnings of Russian America to the present, Alaska Natives have experienced periods of rapid change, often with tragic results such as epidemics and culture loss. But there has also been a revitalization of Native traditions and a growing grass-roots movement to consolidate self-governance at the village level. Contemporary Alaska consists of contrasts between wealth and poverty, rural subsistence and urban professionalism, wilderness and resource development. These contrasts are also part of Alaska Native society. Alaska Natives own and operate some of the strongest corporations in the state. Cook Inlet Region Inc., Sealaska and Arctic Slope Regional Corporation generated 95 per cent of the total net resource revenues of $398 million for all the Alaska Native regional corporations from 1976 through 1991. Oil and gas leases as well as timber sales accounted for the three corporations’ revenues.80 Yet per capita income for Alaska Natives is less than half of the per capita income for whites in the state. Contrasts between Alaska Native cultures, state and federal policies, and regional economies is only part of the story. There are also deep ideological divisions between Alaskans, particularly among non-Natives, regarding the future prospects for Native societies.